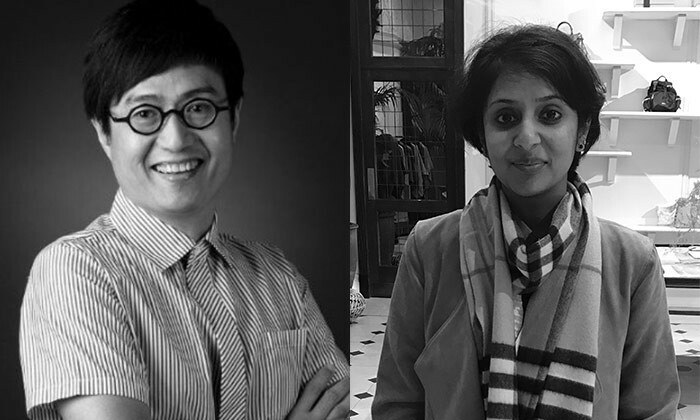 Grey Group Singapore has appointed Maurice Wee as creative director, and Devika Johri as planning director to oversee the GlaxoSmithKline (GSK) account. Wee will be responsible for concept development processes of the creative teams and will report to Grey Group Singapore’s executive creative director (GSK) Marthinus Strydom, while Johri will work closely with Neil Cotton, the agency’s chief strategy officer. Prior to his new role, Wee was a creative director at BBH Asia Pacific for over five years, where he led the IKEA, Mentos, UOB Bank, and Singapore Tourism Board accounts. Before joining BBH, he was the global lead creative team for Singapore Airlines at TBWA Singapore for more than two years. Wee also worked at Ogilvy & Mather Singapore, BBDO Singapore, Saatchi & Saatchi Hong Kong and Singapore. “I love that our business is constantly evolving and that there is always a need for fresh ideas. I can’t wait to start,” Wee said. Johri joined Grey Singapore from Ogilvy & Mather Singapore, armed with 11 years of cross-category experience in FMCG, and media and entertainment. During her time as global planning director at Ogilvy for Unilever’s skincare brand Pond’s, Johri crafted “high-impact” communication strategies, collaborating with Unilever to identify sources of growth and key consumer segments. She also played a crucial role in revamping the brand’s facial cleansing and male grooming business in the Southeast Asia and South Asia regions, by integrating digitally-inclusive solutions alongside media, social, PR and shopper agency partners. Johri has also worked at Star India, an Indian media and entertainment company and DRAFTFCB+Ulka Advertising. “I want to thank Grey for this incredible opportunity, and look forward to leveraging my insights to bring the consumer and brand back to the forefront of communication strategy,” Johri said. “Wee has an amazing history of producing ideas which disrupt the boundaries of creativity, and is passionate about nurturing and inspiring young creative talent. I am certain Wee and Strydom will make a formidable creative team, and raise the bar of our creative output,” Konstantin Popovic, executive vice president & managing director (GSK), Grey Group AMEA, said. “Johri prides herself on evolving rigid stereotypes in communication to reflect changing norms. Her portfolio aligns well with Grey’s ethos of producing famously effective work, and her experience across both the agency and client side will be a great asset,” he added. Last month, the agency appointed Tim Cheng as chief creative officer for the Singapore market. He reports to Subbaraju Alluri, area director and CEO, Singapore and Thailand. In a statement to Marketing, Grey clarified that he is not a replacement for Ali Shabaz, who held the chief creative officer of Grey Group Southeast Asia. Shabaz was moved to the Dubai office in February and now holds the CCO for the Middle East office. Earlier this year, Grey Group made made three new hires in a bid to bolster its leadership core in Asia, with a special focus on Grey Group Singapore. Mans Tesch was appointed as chief strategy officer for Grey Group APAC, Marthinus Strydom as global creative leader, Team GSK at Grey Group Singapore, and Neil Cotton as global strategy director for GSK and chief strategy officer for Grey Group Singapore. AirAsia's doppelgänger: Can the copycat brand hurt AirAsia's brand equity? The programme is organised by Brand New Media, and is supported by the Infocomm Media Development Authority, Singapore Press Holdi.. The changes follow new business wins. ..